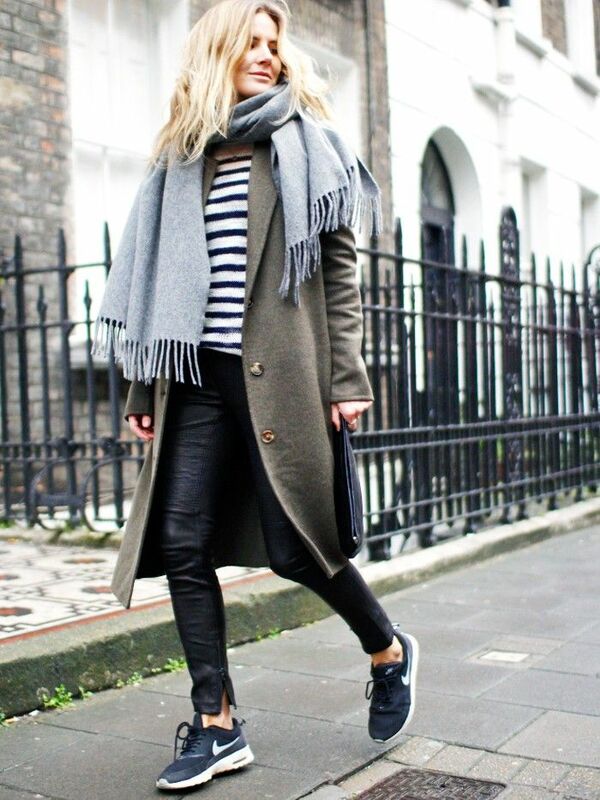 Street sneakers are a trend that has snuck its way into all our hearts and wardrobes. Our day-to-day uniforms need to work for any occasion, and a stylish pair of sneakers often fits the bill. But of all the styles out there, which comes out on top? To dig a little deeper into the sneakers causing the most buzz right now, we turned to our friends at Rank & Style, a website that aggregates and analyses data to find the best products on the internet. Looking at popularity, user review, and buzz, the experts named the Adidas Superstar, one of the brand's staple styles, as the cream of the crop. The classic white trainers are a favourite among trendsetters like Gigi Hadid and Lily Aldridge, likely because the versatile style looks just as good with a tracksuit as it does with something a little more dressed up. Since the sneakers first debuted in 1969, they’ve continued to be a go-to, but right now they’re having a major moment. Read on to see how celebs wear their Adidas Superstars and pick up a pair for yourself. 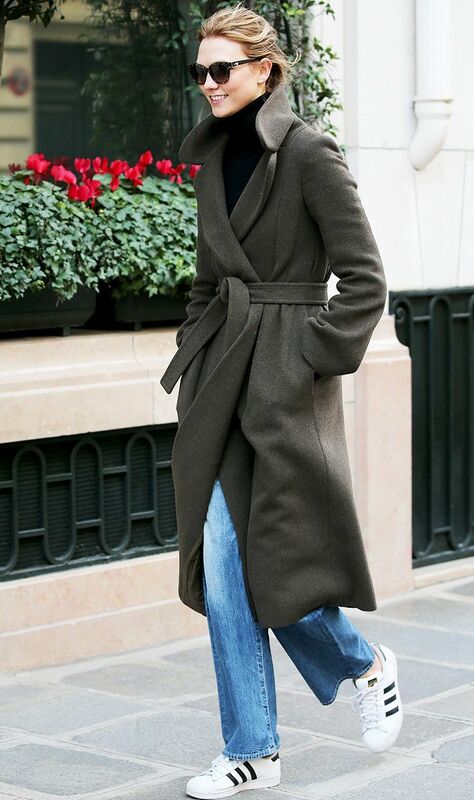 Style Notes: Karlie Kloss added relaxed jeans, a black turtleneck, and wrap coat for a sophisticated but totally unstuffy look. Style Notes: Emma Stone travelled in style, pairing her Superstars with skinny jeans, a classic white tee, and a duster coat. Style Notes: Dakota Fanning let the sneakers pop, styling them with an all-black ensemble including skinny jeans and a long coat. Style Notes: Lily Aldridge put her own spin on streetwear, styling the sneakers with a matching track jacket and Givenchy baseball cap. Style Notes: Gigi Hadid stuck to a sporty-chic uniform, adding skinny jeans, a sweatshirt, and an army jacket. An artsy spin on the footwear classic. Swap classic white for black to mix things up. Embrace this season's biggest colour trend and rock a pair in pink! All white makes for an ultra-sleek look. Next up! Prediction: This will be the next sneaker trend.